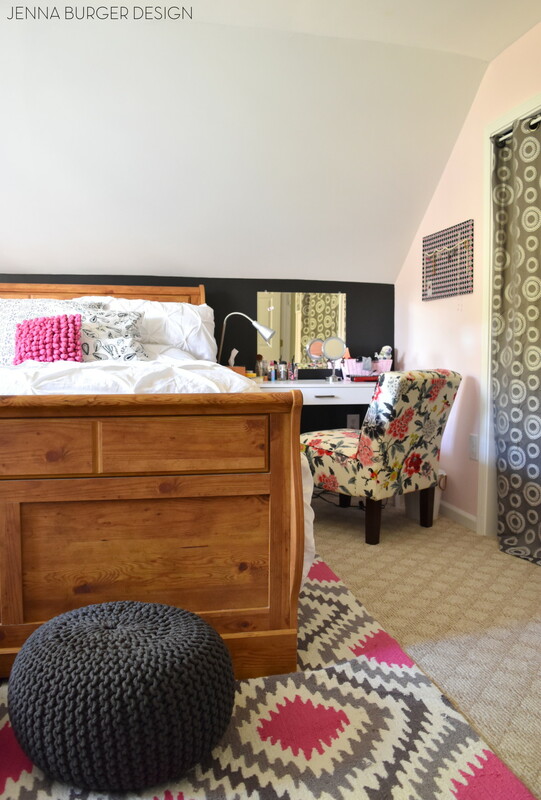 A few months back, neighbors reached out and challenged asking me to work with their 3 teens to revamp their bedrooms. I initially thought it was going to be a few pillow swaps & maybe a paint color change to call it done. Nope, I was delightfully wrong. 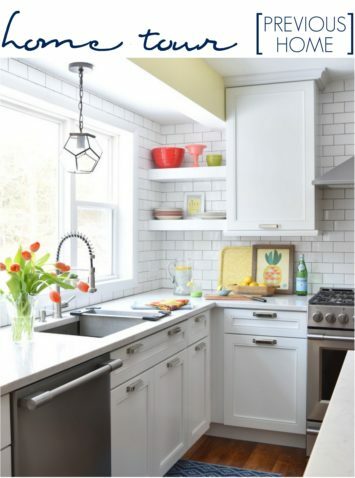 Their intention was for a full makeover from top to bottom with anything they wanted – but within a reasonable budget. 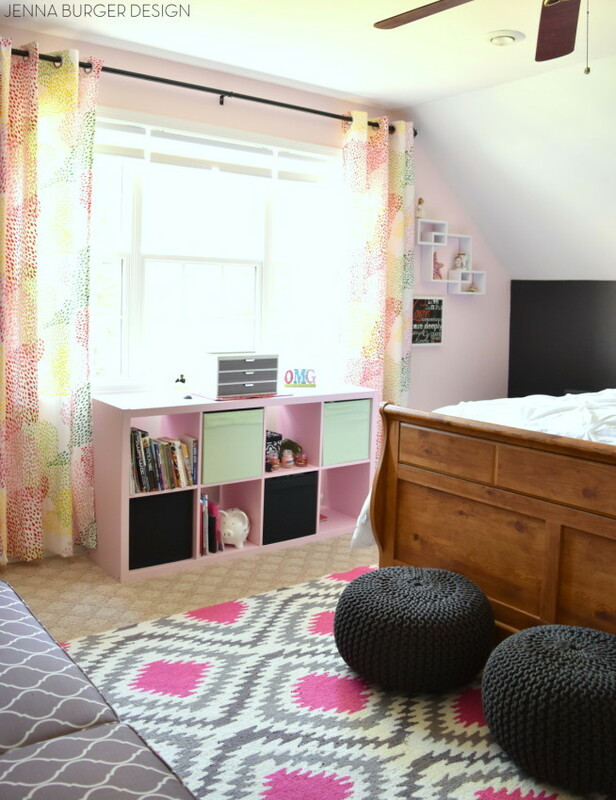 They had never worked with a Designer before but wanted my input for each of the kids – 2 girls + a boy – so their rooms reflected them. 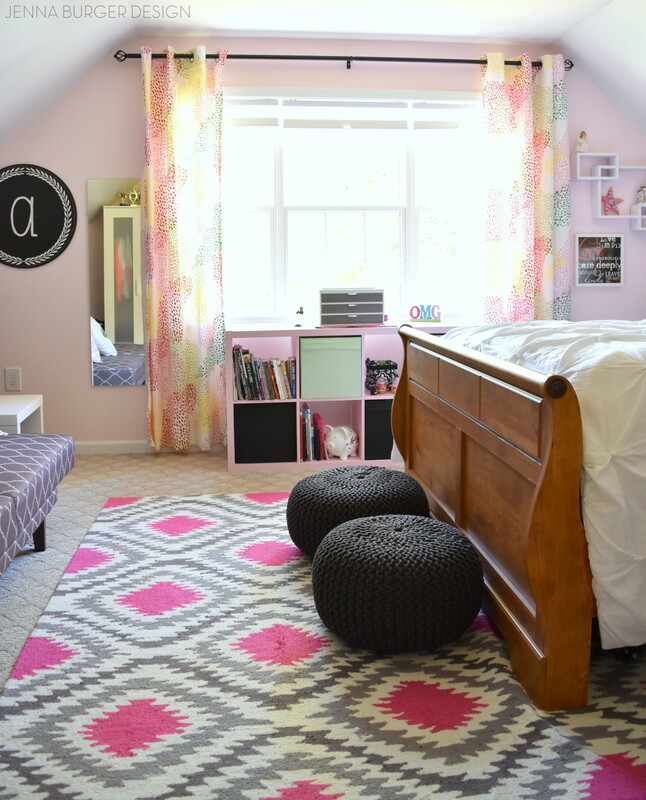 They have a few more years till they hit college and they wanted to create a place that each of the kids truly love and shows their personality – how awesome are these parents?! 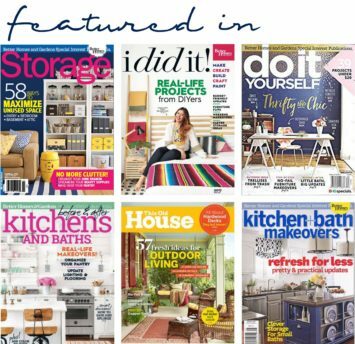 Creating a Meaningful home – yes, I love it and was up for the challenge. … a teen space reflecting “I Believe in Pink” – throwback to Audrey Hepburn – with splashes of pink mixed with shades of gray. The process for this makeover was fairly similar to how it works with most clients. To start, I put together a Creative Vision Board for this teen. My intent with a mood board is to share inspiration + actual items that I foresee in the space that tells the story of what the room will look + feel like when complete. Thankfully she was impressed. I knocked it out of the ballpark. Score! At our initial meeting, she expressed her love for pink. Multiple shades of pink. And dark gray. I loved where this girl was going. She didn’t want, nor did I want to design, a frilly, girly-girl room. 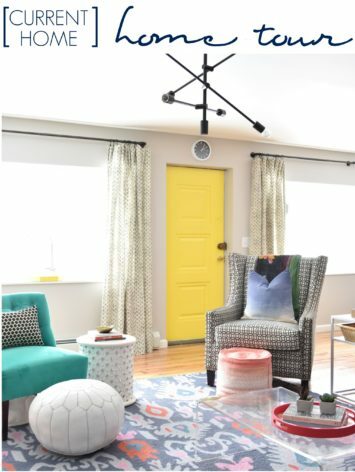 No, this room would be soothing, but with pops of color. 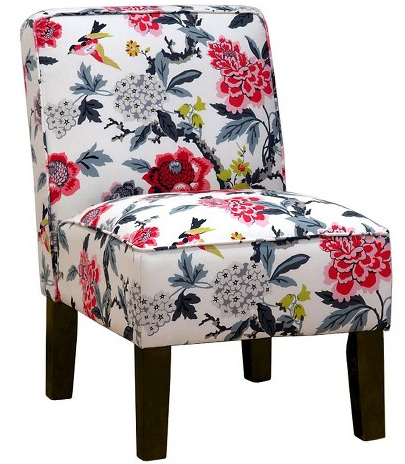 The range of pinks would be offset with dark hues of gray + a little black thrown in for contrast! When you enter into the bedroom, a large picture window is in front, while the bed + futon are on each side. 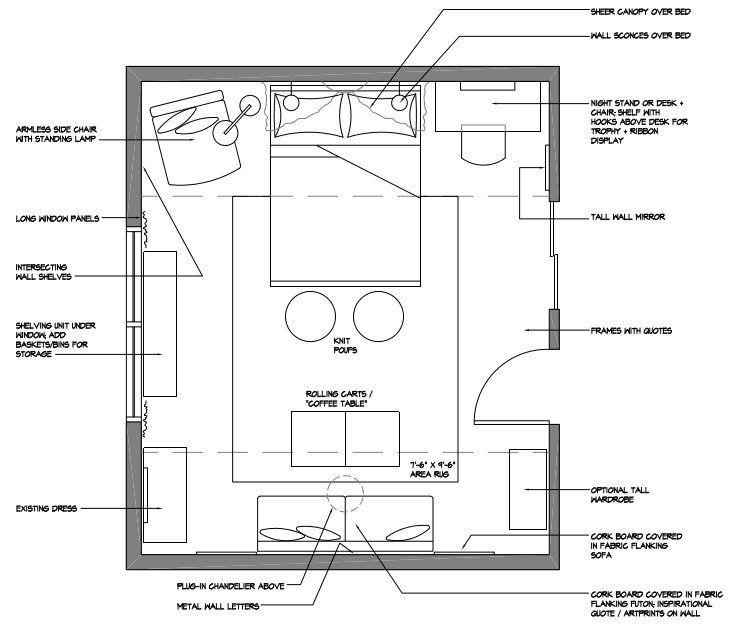 The bedroom is somewhat tricky with the slanted ceilings of the roof above. The double-sized bed worked best on the one shorter wall of the room, and opposite of it a sleeper futon was added. One major need + want for this room was storage! With all their stuff, every teen needs storage. 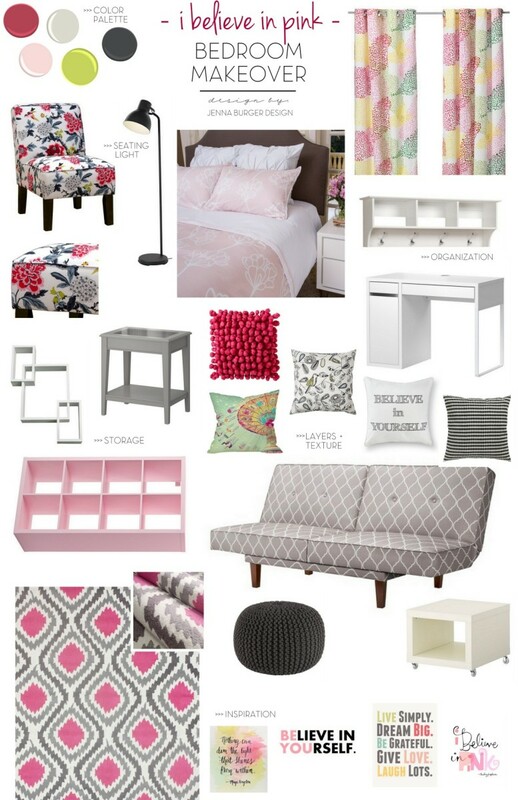 With her love for pink, I new this Ikea bookcase – which can be positioned horizontal or vertical – would be ideal. The lines of it are modern and could ‘live’ for a long time and in different settings. It fits snuggly under the window, which are surrounded by window panels in colors of pink, red, yellow, and green. The pattern truly captures all the colors of the room and pulls it together. 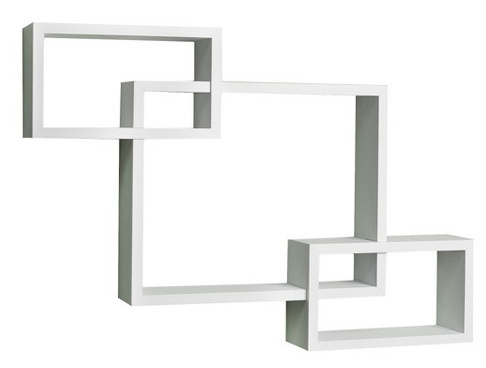 Right of the window was an opportunity to use the wall for more storage so I found this geometric-looking wall shelf, ideal for trinkets + trophies. The smaller pattern of the window panels works so well with the larger, bold pattern of the area rug. 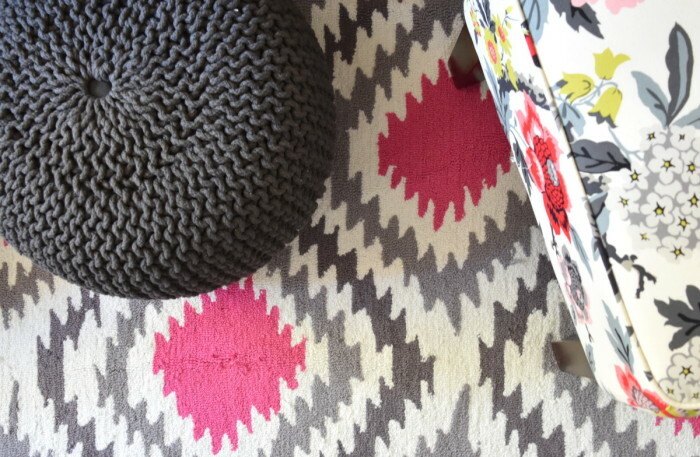 This modern, vibrant rug which has all the requested colors – pink + gray – is perfect and ties the whole space together. With all spaces there has to be a balance of color + pattern. All pink or All florals or All geometric, doesn’t work. There has to be a balance and that is achieved by choosing complimentary colors to bring contrast + joining varying patterns that bring texture and depth. With the bold rug, the bedding had to be minimal + understated. Thankfully this teen was in agreeance and we chose this beautiful white, pinch pleat duvet. Then to the right, we added a white modern desk (offset by the black wall) with clean lines and paired it with a comfortable chair that duals as a vanity chair OR another spot to relax. After creating the vision board, I put a resource list together for each teen and then sent them on their way to buy + execute. They were incredible to sticking to the list and made purchases right for the room, which is so important. Most of the furniture + decor came from ikea, Target, and Hobby Lobby. They also repurposed many items that they already had + DIYed some creations as well (ie: fabric covered cork boards). 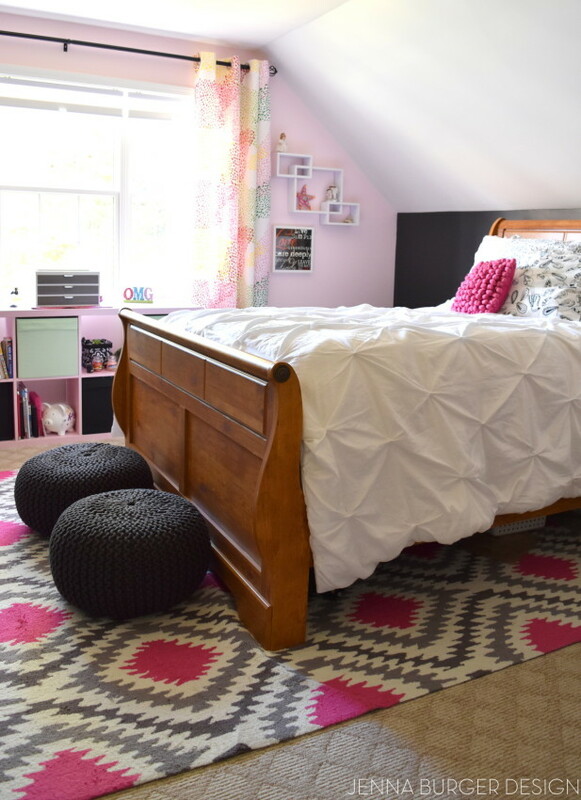 With a little old + a bit of new, this space is an oasis that this teen is going to enjoy for many years to come. Beautiful! I am in the brainstorming stage in the redecorating of my children’s rooms. 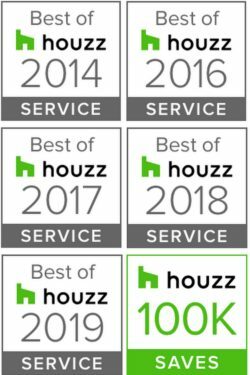 We are in need of more function, storage and style! Love this futon! Where is it from?